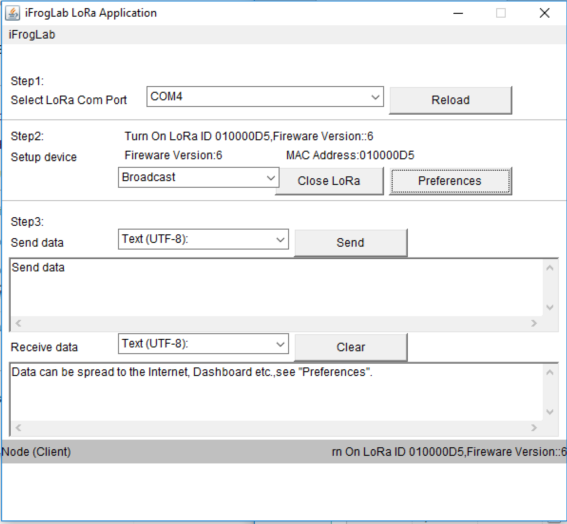 iFrogLab LoRa File Transfer Software is specially designed for iFrogLab LoRa USB Dongle. 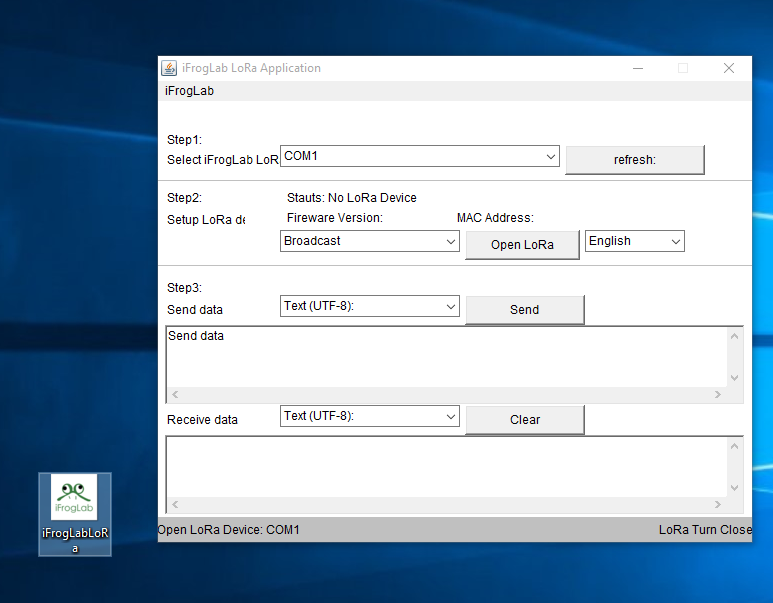 It is mainly used to different computers or platform, through LoRa devices to transfer data to 15KM, which is very convenient. Raspberry Pi or ARM 7 devices, click here. 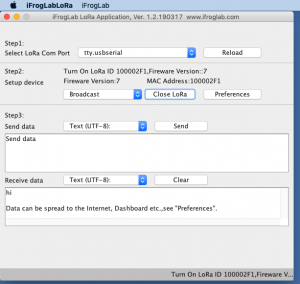 After downloading, unzip the ZIP file, click “ifrogLabLora.run” in the desktop environment to execute. Mac OSX version, please click here, untie zip compression, click “ifrogLabLora.app” will be able to perform. Windows version, please click here, untie zip compression, click “ifrogLabLora.exe” will be able to perform.